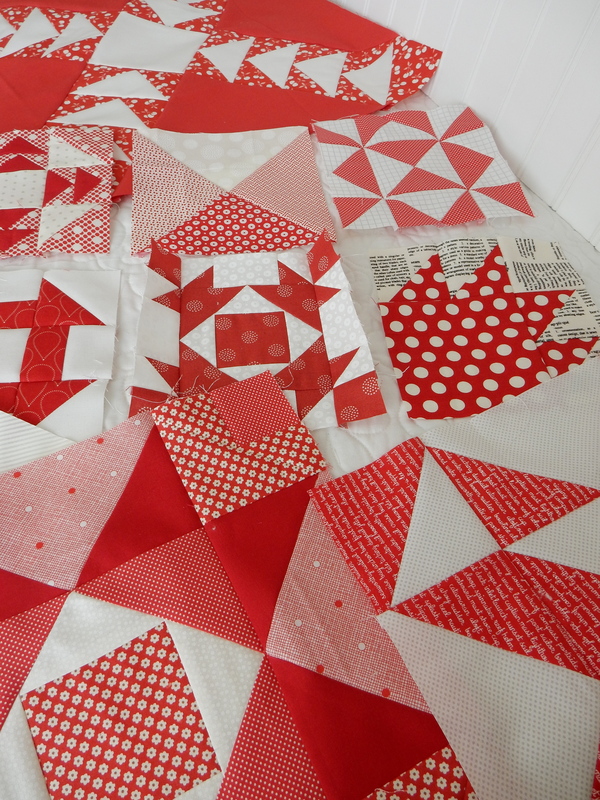 A red and white quilt has been on my “bucket list” for a few years now, but I could never seem to find the right pattern. After receiving my Moda Building Blocks pattern this summer, I started formulating a plan. 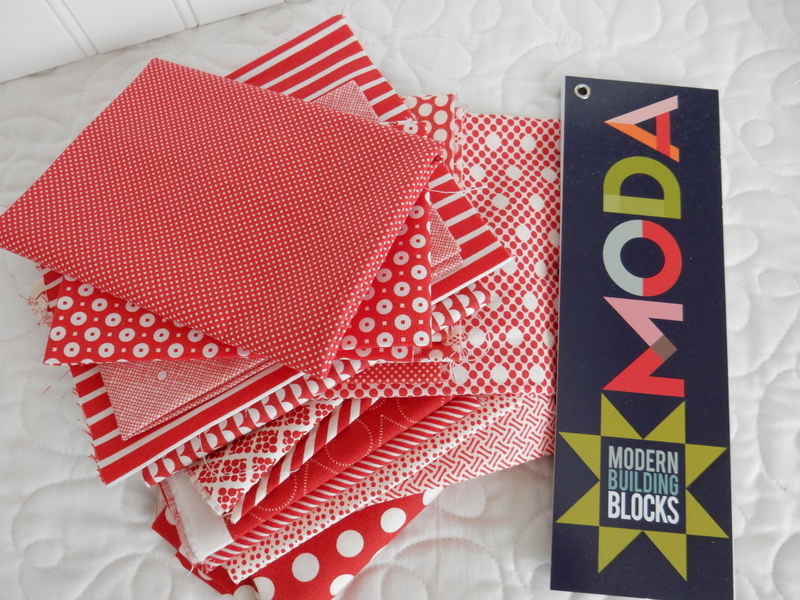 I began by starting with a stack of my favorite Moda red and white fabrics. If you haven’t already made this quilt…it’s a “must make!” Make the original or make it scrappy. You’ll be happy you did. I was just going to sew a few blocks on the day I started and ended up sewing all of the blocks in the entire first section. Make the blocks a section at a time so you can play around with the colors and prints that will be next to each other in the quilt. You will want to have a good mix in each section, and that will help you to keep things proportioned well throughout the quilt. 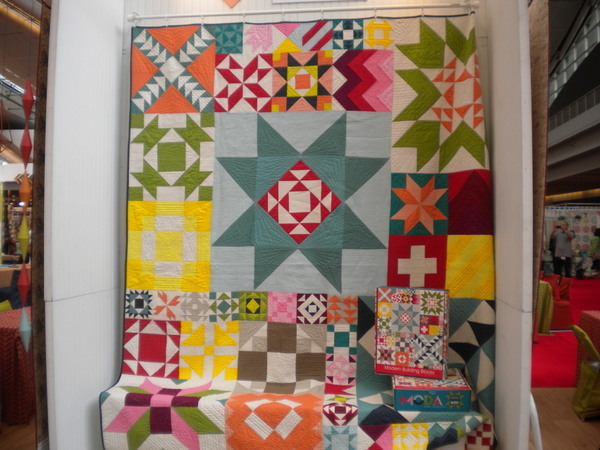 How are you going to make your Moda Building Blocks quilt? Will you make the original or use a combination of your favorite colors or designer prints? Next Next post: A Fat Quarterly Holiday! This is such a great idea! Love, love your blocks!! Can’t wait to see your quilt finish! Beautiful work red oh whith…..beautiful!!!! 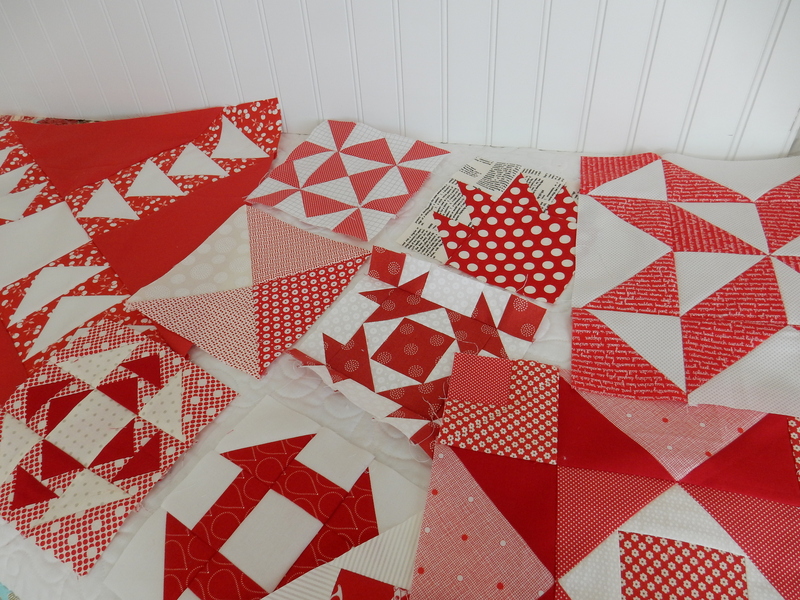 Love red and white quilts. Anxious to see the finish. Brilliant idea! I think I am going to like the two colour version better than the original. Especially in reds and whites. I can hardly wait to see the finished quilt. This is the beginning of one heck of a great quilt. This quilt is on my to do list but mine would have prints and vibrant colors to go along with some solids.This would be my version. Late to the party as usual … is there a blog/place/somewhere that has dimensions of those huge 36″ blocks … how big are the “parts” that you build to make the 36″ blocks? I’m flying by the seat of my pants and I keep getting tripped up because I’m not sure what those inner parts should measure … and my inner quilting goddess is telling me to SQUARE AS YOU GO! Any help out there? Thanks!